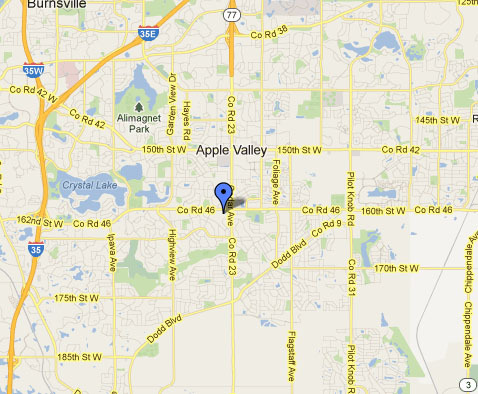 We are located on the border of Lakeville and Apple Valley, with easy access just south of the 35W/35E split! Look for us at the southwest corner of County Road 46 (160th Street W) and County Road 23 (Cedar Ave). From I-35, exit at County Road 46, heading east. As you approach Cedar Ave, turn right at Fang Chinese and Carbones Pizza.